Web Inspirations: Cheap, Good and Fast Service? 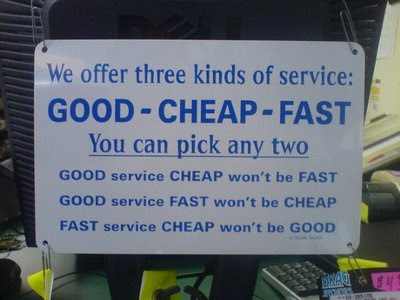 Cheap, Good and Fast Service? So true .... You think leh? Sound like applicable to Malaysia? That sounds so true. lol!